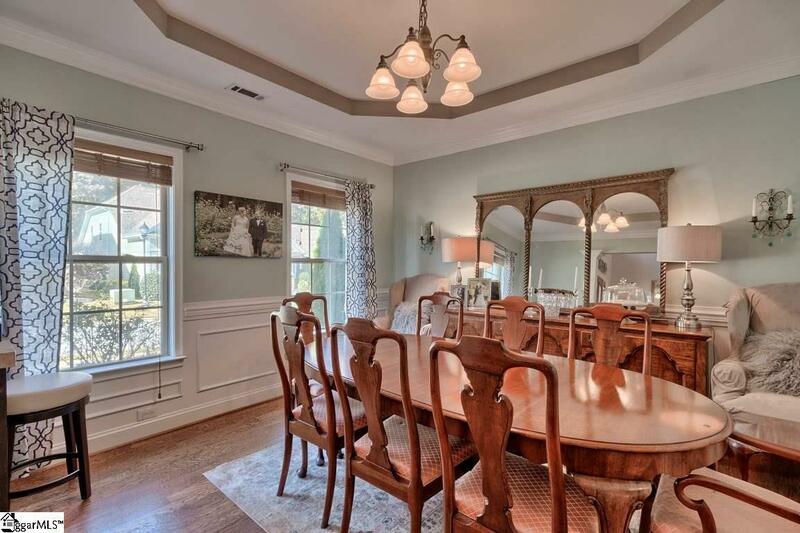 This beautiful home is for discriminating buyers looking for character and style. 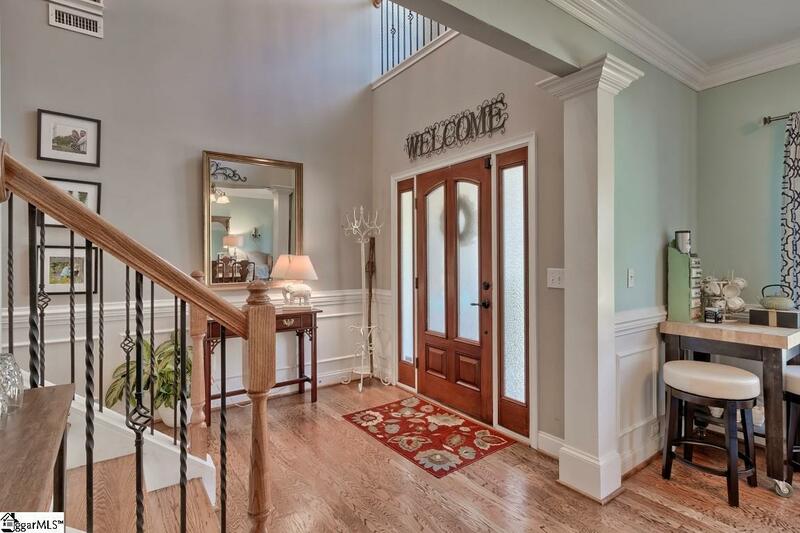 As you enter, you will immediately notice the gleaming hardwood flooring throughout most of the main level and the stunning moldings and trim work. The welcoming floor plan offers a two story foyer, formal dining room and lovely great room with dramatic stone fireplace. The recently renovated island kitchen features granite countertops, walk in pantry, butlers pantry and stainless steel appliances, including the slick slide in induction range with convection oven. The morning room is adjacent to the kitchen and leads to the private backyard with large patio. The centered great room showcases a beautiful two story stone fireplace with gas logs. The owners bedroom is privately located on the main level and includes a luxurious owner's bath with jetted bath tub, separate shower, dual sinks, private water closet and large walk in closet. The hardwood staircase with wrought iron spindles leads up to the loft overlooking the first floor. The second floor also includes three bedrooms, two large bathrooms, and walk in storage room. 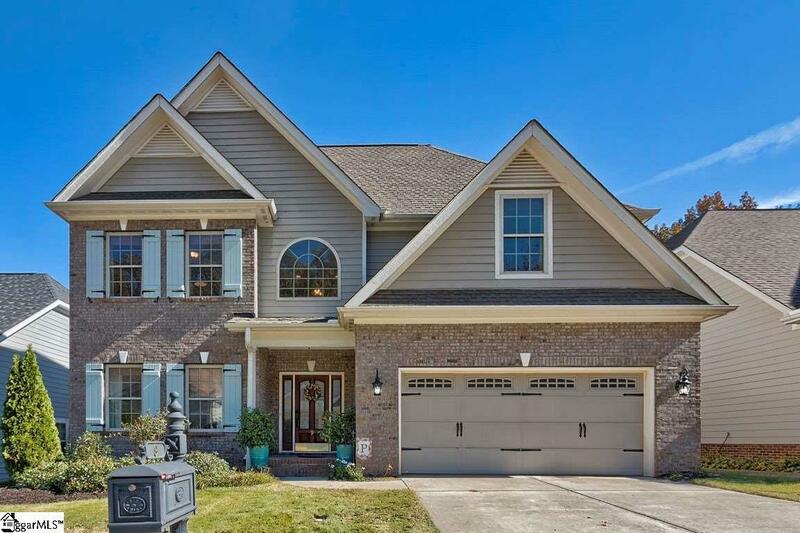 This beautiful home is conveniently located in the Cove at Butler Springs subdivision, close to shopping, restaurants, I-385 & Downtown Greenville. The fenced, tree-lined backyard features a large patio and raised planters for the gardener in the house! Listing provided courtesy of Christy Grear of Allen Tate Company - Greenvill.